M1 Imaging Center makes it easy. M1 wants to make it easy – for referring providers and for patients. 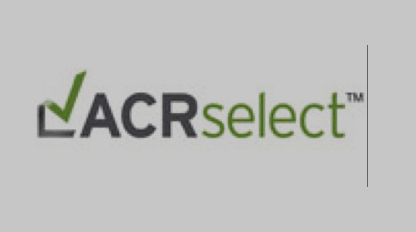 Using a web-based software system called ACR Select, doctors can use educational tools online from their own locations to compare indications from the American College of Radiology and prescribe tests appropriately for their patients. 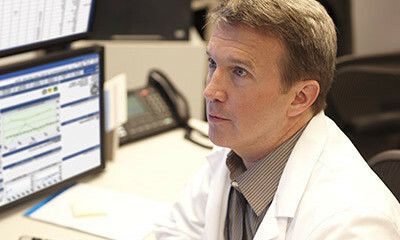 M1’s clinical decision support software offers evidence-based guidelines and indications that guide providers in ordering MRIs. 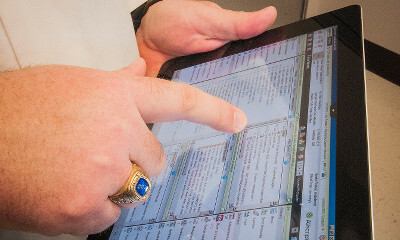 M1 is one of two locations in Southeast Michigan offering this educational software tool to guide better prescribing and more appropriate testing. 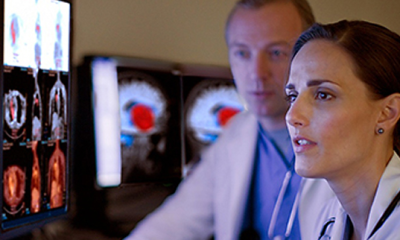 We have invested in the Philips Ingenia 1.5T, the first-ever digital broadband magnetic resonance imaging system. 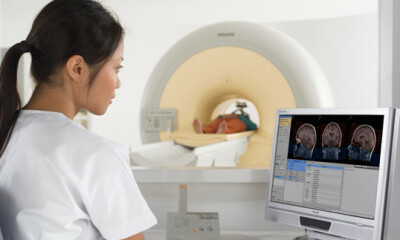 This is an advanced MR scanner that provides both consistently high-quality images and a high level of patient comfort. The Ingenia 1.5T delivers excellent signal-to-noise ratio, streamlines workflow, and provides an open patient experience. We are the ONLY facility in the state of Michigan with the DynaWell L-Spine compression device for axial loaded weight-bearing MRIs so that you have the most accurate and reliable scan available in the market today. Research has shown that weight-bearing MRI’s increase detection results and help doctors make better treatment choices for their patients. We specialize in weight-bearing MRI for L-Spine, Flexion & Extension MRI for C-Spine, Traumatic Brain Injury Protocol with Susceptibility-Weighted Imaging (SWI) and high-field Coils for dynamically targeted joint MRI. Our excellent imaging technicians are efficient, performing routine exams of the brain, spine, organs and extremities in some cases as fast as 8 minutes. 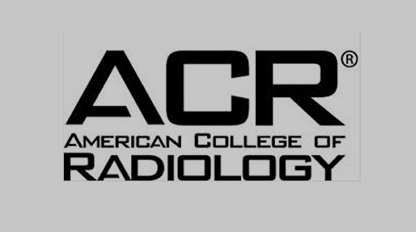 More complex vascular, cardiac and musculoskeletal studies require from 20-40 minutes of imaging time. 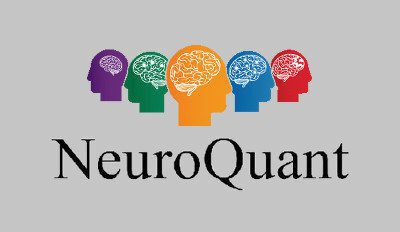 Why should I refer patients to M1 Imaging Center for an MRI? 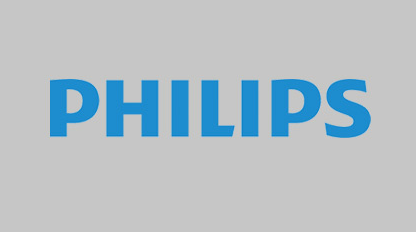 You can refer your patients to M1 with confidence because we have invested in the Philips Ingenia 1.5T, the first-ever digital broadband magnetic resonance imaging system. 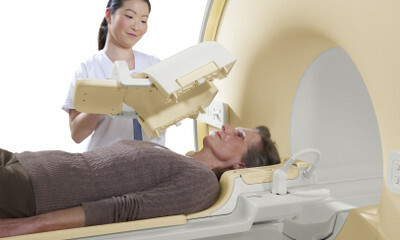 It’s an advanced MR scanner that provides both consistently high-quality images and a high level of patient comfort. The Ingenia 1.5T delivers excellent signal-to-noise ratio, streamlines workflow, and provides an open patient experience. We are also the ONLY facility in the entire state of Michigan with the DynaWell L-Spine compression device for axial loaded weight-bearing MRIs so that you have the most accurate and reliable scan available in the market today. Research has shown that weight-bearing MRI’s increase detection results and help doctors make better treatment choices for their patients. 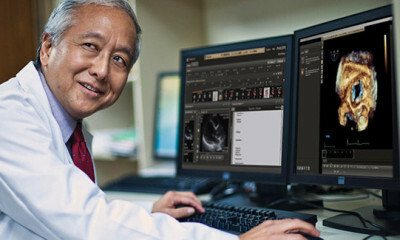 How will my patients feel about your technology? M1 Imaging Center offers state-of-the art technology and a mobile “open” MRI system that your patients can feel good about. It’s based around a wide-bore 70cm magnet, and has a much more open feel than conventional MR systems. The open system allows us to image patients with diverse sizes (up to 550 lbs), ages, and physical conditions. In fact, most scans can be performed with their head and feet entirely out of the opening, so your patients are likely to feel less claustrophobic and more relaxed about getting an MR scan. Additionally, our DynaWell L-Spine compression device simulates a stand-up position while lying down. Excellent images – The Philips Ingenia 1.5T is the first digital broadband system ever. It incorporates dStream architecture that digitizes the signal directly in the MR coil, substantially improving the signal-to-noise ratio, resulting in exceptional image resolution. The DynaWell L-Spine compression device can provide 60-70% more data for patients with symptoms of Sciatica and Neurogenic Claudication. 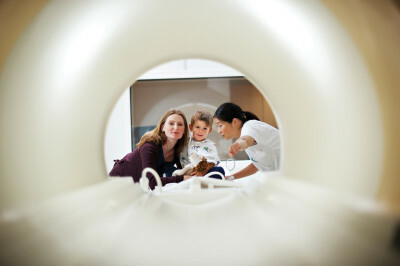 Fast exams – With our advanced MRI technology, we can perform routine exams of the brain, spine, knee and as well as organs and extremities quickly and easily, some cases in less than 8 minutes – with superb image quality. More complex vascular, cardiac, and musculoskeletal studies can last from 20 to 40 minutes. The Ingenia 1.5T has innovative technologies which speed up exams and increase productivity. It simplifies patient positioning and coil handling for our technologists, so patients can be scanned from head to toe across the entire 55cm field of view in less time than current MR systems. Fewer repeat exams – The Ingenia 1.5T gives our radiologists and referring physicians access to the clear, detailed MR images they need to help make informed diagnoses, resulting in fast, more comfortable exams and fewer repeat exams for our patients. 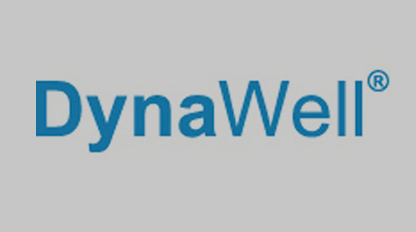 Published studies in, among others “Spine”, and ongoing studies verify that the DynaWell® methodology is valuable in lumbar spine pathology (spinal stenosis, sciatica, disc herniation, synovial cysts) and hip, knee and ankle pathology. With DynaWell®, clinical studies show that it is possible to achieve a more specific and valid diagnosis, compared with regular non-loaded PRP. What diagnostic imaging applications does M1 Imaging Center handle? Our Philips Ingenia 1.5T was designed to deliver precise, detailed MR images to radiologists and referring physicians who need to diagnose many different anatomical and structural problems in the body. Does M1 take health insurance? How much does a DynaWell compression-based MRI cost? 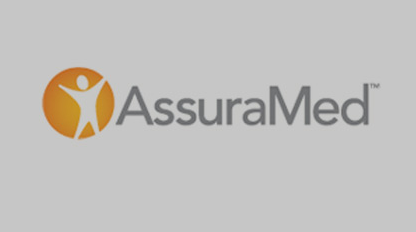 Yes, M1 Imaging accepts mostly all healthcare plans including BCBSM and Medicare. The addition of the DynaWell compression device does not increase the cost of the L-Spine MRI. How do I contact M1 Imaging Center? If you have questions about scheduling, or the benefits of M1 Imaging Center for all your MRI needs, please contact us using for form below. You can also contact us via email at info@m1imagingcenter.com or by calling us at (248) 268-2119. The Philips Ingenia 1.5T is the first digital broadband system ever. It incorporates dStream architecture that digitizes the signal directly in the MR coil, substantially improving the signal-to-noise ratio, resulting in exceptional image resolution. The DynaWell L-Spine compression device can provide 60-70% more data for patients with symptoms of Sciatica and Neurogenic Claudication. With our advanced MRI technology, we can perform routine exams of the brain, spine, knee and as well as organs and extremities quickly and easily, some cases in less than 8 minutes – with superb image quality. More complex vascular, cardiac, and musculoskeletal studies can last from 20 to 40 minutes. The Ingenia 1.5T has innovative technologies which speed up exams and increase productivity. It simplifies patient positioning and coil handling for our technologists, so patients can be scanned from head to toe across the entire 55cm field of view in less time than current MR systems. The Ingenia 1.5T gives our radiologists and referring physicians access to the clear, detailed MR images they need to help make informed diagnoses, resulting in fast, more comfortable exams and fewer repeat exams for our patients. Published studies in, among others “Spine”, and ongoing studies verify that the DynaWell® methodology is valuable in lumbar spine pathology (spinal stenosis, sciatica, disc herniation, synovial cysts) and hip, knee and ankle pathology. With DynaWell®, clinical studies show that it is possible to achieve a more specific and valid diagnosis, compared with regular non-loaded PRP.